Originally designed in the late 1940s, the Straight Chair has been reintroduced by Knoll. 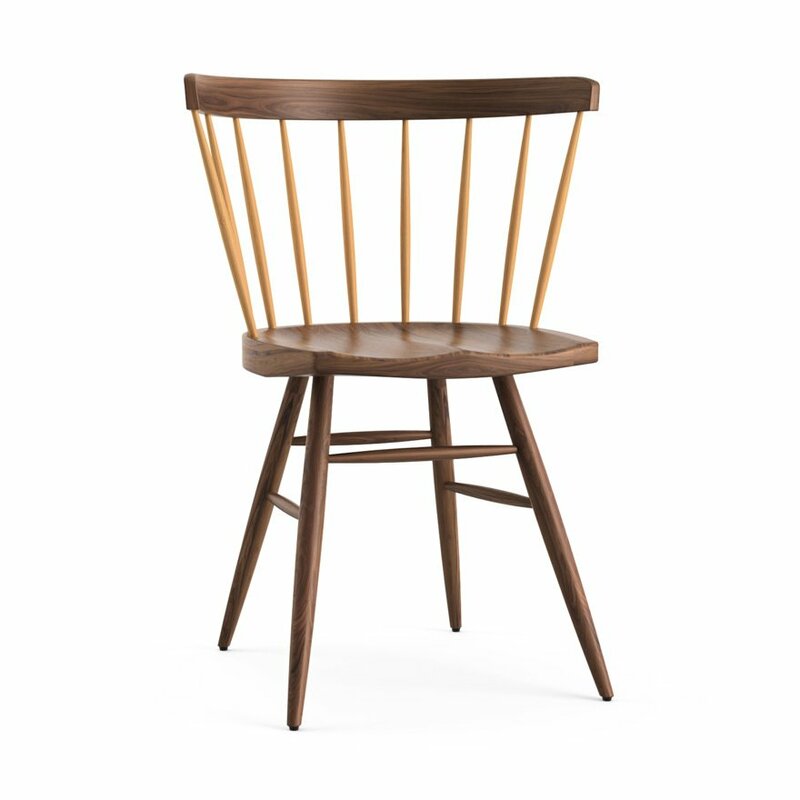 George Nakashima's extraordinary blend of the organic, natural qualities of wood and clean modern design formed this Modernist interpretation of the traditional Windsor chair. 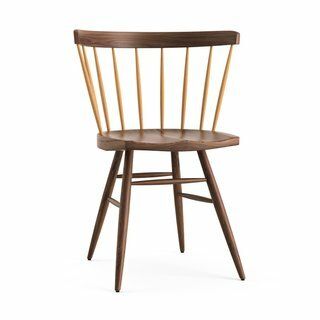 Featuring natural, low-sheen finishes and live wood grain patterns, the Straight Chair epitomizes Nakashima and his craft.